The Health Concerns Symposium 2014 was a big success! Thanks to everyone who attended. See you again soon! As Health Concerns continues celebrating its 30th Anniversary in 2014, we’re excited to announce our annual Health Concerns Symposium—an integrative and educational experience for practitioners, students, and partners in the holistic, herbal and alternative medicine community. The conference will focus on Healing Digestive Disorders and it is scheduled for Sunday, September 14th and Monday, September 15th, 2014. Speakers will present on subjects including acupuncture, digestive immunity, the future of herbs, new developments in Traditional Chinese Medicine and more. The Symposium is designed to foster learning, exploration and peer-to-peer networking. 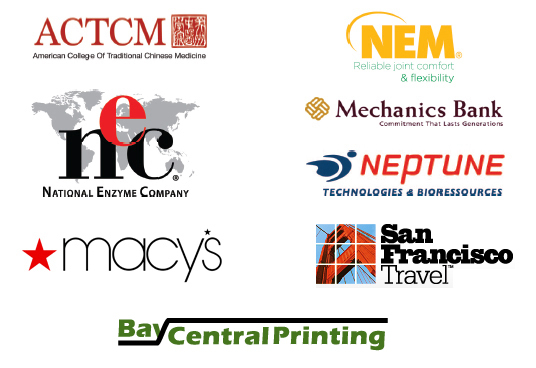 Attendees will also receive continuing education credits from NCCAOM and the California Board of Acupuncture. Day 1 – General session will be held on Day 1 from 8:30a to 5:30p with a hosted reception following immediately after. Presentations will be given from speakers including Misha Cohen, OMD, L.Ac., Mark Frost, L.Ac., MSTCM, Andrew Gaeddert, RH, AHPA President Michael McGuffin, and Dr. Eric A. Vasiliauskas, MD, on subjects such as acupuncture and digestive health, the future of herbs, digestive immunity, and gynecology. 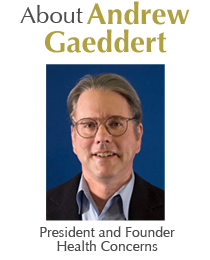 General session will be hosted by Herbalist and Health Concerns Founder and President, Andrew Gaeddert. Continental Breakfast and lunch will be served. At the close of day one, a reception will be held from 5:30PM to 7:30PM, sponsored by Shine Wellness. Join us for drinks, appetizers, entertainment and networking. A free raffle will be held and some fantastic prizes will be given away. Click here for more details! Day 2 – Day 2 will be a half-day, intimate workshop with Andrew Gaeddert with an in-depth focus on case studies, Traditional Chinese Medicine, and principles to ensure a successful practice. Continental Breakfast will be provided. Health Concerns has reserved rooms at group rate of $229 per night on September 13 and 14. When making reservations, please ask for the Health Concerns Symposium discount. These rooms are limited and offered on a first come, first served basis. Registrations for the Healing Digestive Disorders Webinar Series will be accepted up to three business days before the broadcast of each webinar. Refunds will not be given for cancellations. If written notice of an inability to attend is provided seven days before the broadcast, a credit will be issued to the attendee’s customer account. The deadline to qualify for the combined Symposium registration discount is October 17, 2014. Partial credit will not be issued to those who purchase the classes with the combined registration discount but are unable to attend one or more of the classes.